Cool off this summer with a sweet cold treat and donate to Penn State Children’s Hospital while you’re at it! Now through August 2 you can purchase a Miracle Balloon at participating local Dairy Queen locations to help kids treated at our hospital. The balloons include discount coupons for your next visit so it’s a win-win! 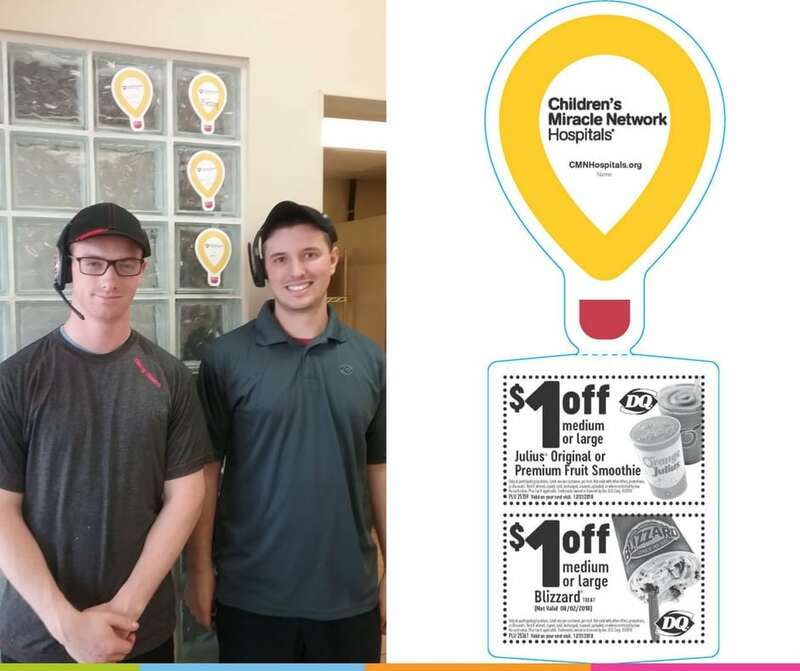 The DQsystem’s annual Miracle Balloon campaign caps off with Miracle Treat Day on August 2 where $1 or more from every Blizzard® Treat sold at participating DQ locations will benefit local Children’s Miracle Network Hospitals. Invite your friends and family to visit a participating Dairy Queen location to get your treat on! Donate to help kids like Corbin. What’s your favorite Blizzard® Treat? Tell us in the comments! Previous post: Gala Recap Video Released!